February tends to be a “dig deep” time of year. In other words, if we are not careful with our diet, exercise and supplements, the “SADS” (seasonal affective disorder) can creep up on us. I have had many clients at Shulman Weight Loss Clinic report feeling a little weepy or blue this time of year. 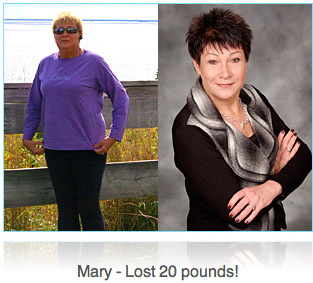 The good news is -there is a lot you can do to boost your mood, your energy and drop pounds on the scale. This newsletter was designed to bring a little “winter sunshine” into your life with articles, products and recipe suggestions to tempt your senses on every level. With Valentines Day around the corner and springtime only 40 days away (but who is counting!) – it is time to squeeze a little bit more fun and lightness into your every day. Be sure to watch Dr. Joey’s weight loss contest begin on Cityline February 14th! A recent study released by Statistics Canada revealed that Canadians consume 51 lb (23.1 kg) of sugar per year. An excess of white sugar consumption has been linked with cancer, type 2 diabetes, heart disease, obesity, dental decay, and hyperactive behavior. Click here to read more. According to Ayurvedic medicine, an ancient for of Indian medicine, eating according to your dosha can help you lose weight, boost energy and prevent disease. Click here to take this quiz and found out your dosha! If you want to unwind and relax a little, put a little bit of pulse point balm on your inner wrist or in between your eyes (your “third eye”). 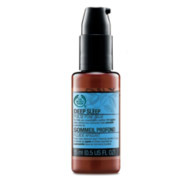 Made with essential oils and milk protein, this calming balm helps to restore smoothness and suppleness to the skin. Also available – total energy pulse balm. Oh how we love Mabel! I have been using Mabel’s Labels for years on my son’s clothing and accessories. Now…there is a new product to announce – the Loot Bag Combo! 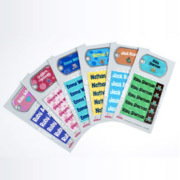 Celebrities who love to include waterproof Sticky Labels and Bag Tags in their children’s birthday party loot bags inspired the Loot Bag Combo. These sweet combos make great party favors (better than white, sugary treats!) and add a personalized touch to gifts for only $5 per child. Green, healthy and personalized! 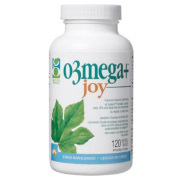 adistilled fish oils supplement that can help to improve mood and mental outlook, naturally.Its unique formula contains EPA concentrate, an essential Omega-3 fatty acid that’s clinically proven to help with the seasonal blues. If you are looking for some nut free decadence, then Felice’s pieces are for you! Made with a combination of graham wafers, caramel and topped with 3 types of chocolate…a little sweetness will go a look way! Dan Buettner made headlines with his book The Blue Zones, which looked at the longest-lived cultures in the world and the kind of life that contributes to living past 100. He noticed during that research that many of the world's longest-lived cultures were also very happy societies. 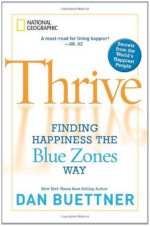 This led to a new research project called Thrive: Finding Happiness the Blue Zones Way, which has been featured in National Geographic and elsewhere. The book's premise is that there are certain "happiness hot spots" around the world, and that we can take cues from these cultures about what makes for a happy life. Pour sesame oil into large non-stick skillet on medium heat. Sautee broccoli slaw and mushrooms until they become slightly limp (cover if possible for 2-3 minutes). Add in capers and soy sauce and toss. Remove from heat and top with herbed goat’s cheese and crushed walnuts and enjoy! Combine all ingredients, mix well and enjoy over salad or rice bowl. Whisk dry ingredients in a large bowl. In a medium bowl mix egg, yogurt, oil, lemon zest and lemon juice. Combine wet and dry ingredients. Spoon into a lined 12-cup muffin pan (or one sprayed with nonstick cooking spray). Bake for 15-18 minutes. Lost: 20 pounds and feels great!